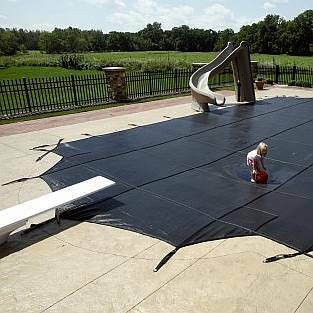 Why do you need/want a custom safety cover made for your pool? You have a pool that is NOT a rectangle, or is not a common sized rectangle. More than 1 step / seat / swim-out that breaks the outline of the main shape of the pool. You want to have a custom safety cover made where the anchor straps match the current anchors already in your pool deck. This way you do not need to drill all new anchors. Can I get a larger pre-made rectangle to cover my non-rectangle pool? It is not recommended at all. Under each strap of the cover is a rubbing strip positioned where the cover manufacturer believes the edge or lip of the pool is located. When the cover is pushed downwards by wind, rain, snow, etc., the cover will "rub" on pools edge. The rubbing strips take the brunt of this, by design, and this elongates the covers lifespan. If you put a larger rectangle over your kidney shaped pool the rubbing strips will not be in a position to do its job and the strap and cover fabric will then be compromised. Manufacturers can easily see the rubbing outline pattern of the pool and will not warranty any cover not specifically made for that pool size/shape. Home owners and liability insurance companies will also not cover any of your liability if you put a safety cover not made for the size and shape of your pool. There also may be local ordinaces or Home Owner Association regulations that may also put you at risk. What is a Safety Pool Cover? It is a cover that adheres to The American Society for Testing and Materials (ASTM) F1346-91 standard (2010) requires that a pool cover must hold a minimum of 485 pounds per five square feet to qualify as a pool safety cover. These usually come in two basic styles: Mesh or Solid.. Both types of pool safety covers are anchored to a deck with straps that pull the cover taut over the pool; the straps are usually connected to stainless steel springs and are anchored to brass anchor attached to the pool deck surface. Solid covers are always made and quoted with a mesh drain unless specified otherwise. If solid and no mesh drain is specified, then a cover pump will be included in the quote. 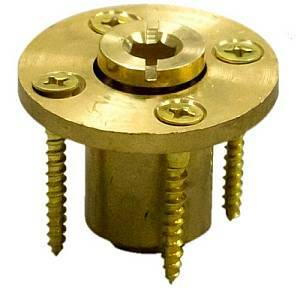 When the pool cover is removed, the brass deck anchors can be screwed down flush with the deck level to prevent tripping or toe-stubbing. Because the straps need to be anchored down, safety covers generally require at least 30+ inches of decking all around the pool. There are a variety of deck anchors for all types of decking material including, but not limited to, concrete, brick, asphalt, earth (lawn), and wood. To get a quote on customize pool safety cover, please click on the link highlighted below, print it, fill it out according to the directions, and fax it back to us at 901-531-8145, or Scan/Take a Picture with smart phone and email it. Make sure that you add your email address for fastest service. Most quotes are made within 1-2 business days. More complex covers make take a little additional time. Once an order has been placed, most covers will be made and shipped in 72 business hours, and will be delivered in 3-9 business days more to your door! * - The fabric is folded forming a J and interlocks with other fabric, making a Reinforced J-Seam. Single Webbing on Top is sewn over the seams. ** - Manufacturer has never published UV specs. Estimated only. Algae may not be fully retarded without chemicals.